I love your casual style, honey! That sweater is adorable! I love the layering effect! You look fabulous! Love the hint of Spring in this layered look - Have a great weekend!!! That is just the cutest top! Cute layered look! Love the back detail on your sweater! Have a great weekend love! I just love the blouse peeking out from under the sweater! Too precious! That is a cute top! I just love the floral blouse under sweater! 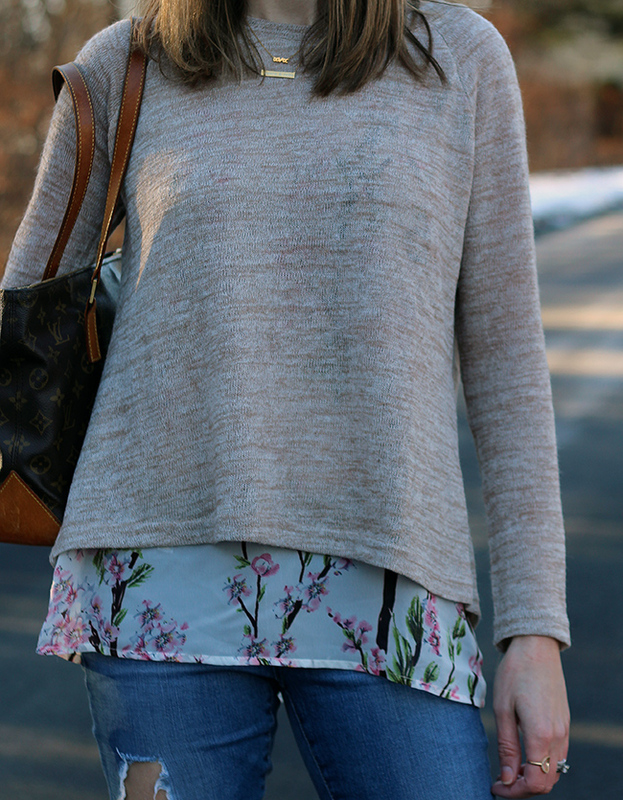 I love this floral shirt peeking out from under the sweater! So cute! I love the top you have on. It is so cute and looks comfortable. I would get the Layered Detail Sweater Top. Thanks so much. I love this outfit. Love the blouse and the sweater. 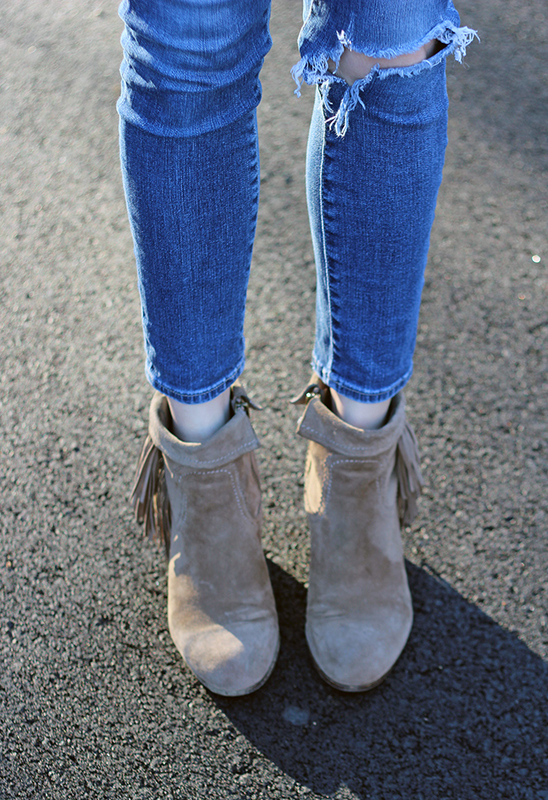 The boots look so comfy! So at first glance, I thought that was the prettiest little top you had under that sweater and then I realised it was part of the sweater. How cool is that :) and your boots. Oh your boots!!! Lovely outfit dear, you looking so great! What an incredibly wonderful outfit! I just love the back detail of your top! the flower print looks so feminine! I'm pregnant, so I'd love a Pink Blush Maternity dress for the summer!! Such a beautiful look babe!! And those shoes are amazing! I love the mint green floral dress! I'd love to get their Black Lace Dress. It has the perfect sleeve and skirt length. I also love the lace pattern and how versatile it is. I can see it going totally formal with heels and the right jewelry or even casual with a tied Oxford shirt and Converse. I would really like to get one of their wrap maxi dresses!